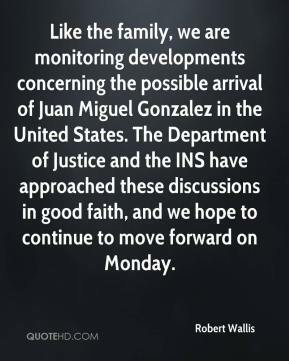 Like the family, we are monitoring developments concerning the possible arrival of Juan Miguel Gonzalez in the United States. The Department of Justice and the INS have approached these discussions in good faith, and we hope to continue to move forward on Monday. We still hope for an orderly process. ... 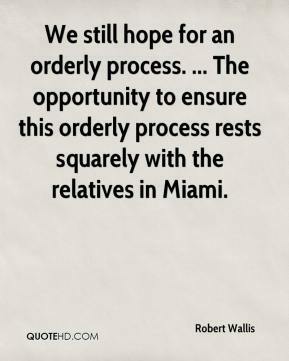 The opportunity to ensure this orderly process rests squarely with the relatives in Miami. The opportunity for ensuring this orderly process rests squarely with the relatives in Miami. 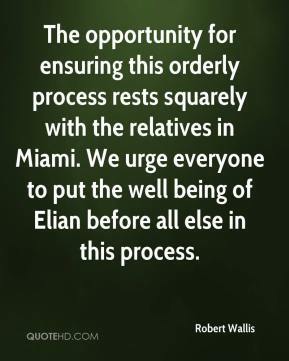 We urge everyone to put the well being of Elian before all else in this process.